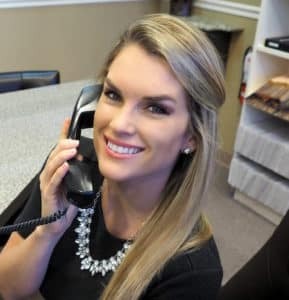 Blakely is a wonderful asset to Dr. Trettenero’s team as his front desk manager for the past five years. She helps patients with coordinating treatments and insurance benefits, in addition to helping the office run as smoothly as possible. She is the person with the bubbly and cheerful voice that answers your phone calls. Blakely always has a smile on her friendly face, which instantly puts patients at ease. Blakely helps patients with coordinating treatments and insurance benefits, in addition to helping the office run as smoothly as possible. She is the person with the bubbly and cheerful voice that answers your phone calls. Blakely always has a smile on her friendly face, which instantly puts patients at ease. When she’s not in the office, she has two travel and cooking video websites that she has developed. Her videos have over two and a half million views on YouTube. . A world traveler, she has been to almost 40 countries. Also a very skilled writer, photographer, a world class chef, and is a contributing writer for the New York Daily News.